This tale makes the timeless point that if you don’t use it, you lose it. Literally. A Chinese murder suspect has been apprehended after evading police for 12 years partly by pretending to be mute – leading to the genuine loss of his ability to speak . The man, identified by his surname Zeng, has been charged with murdering his wife’s uncle, identified as Mr Chai,in 2005, after a dispute over a 500 yuan (£57) rent payment. The disagreement escalated, and Mr Zeng allegedly stabbed Mr Chai to death. Let the reader understand… if you don’t use what you’re given, you soon have nothing to use at all. We invent more crises in our minds than we ever experience in our lives. 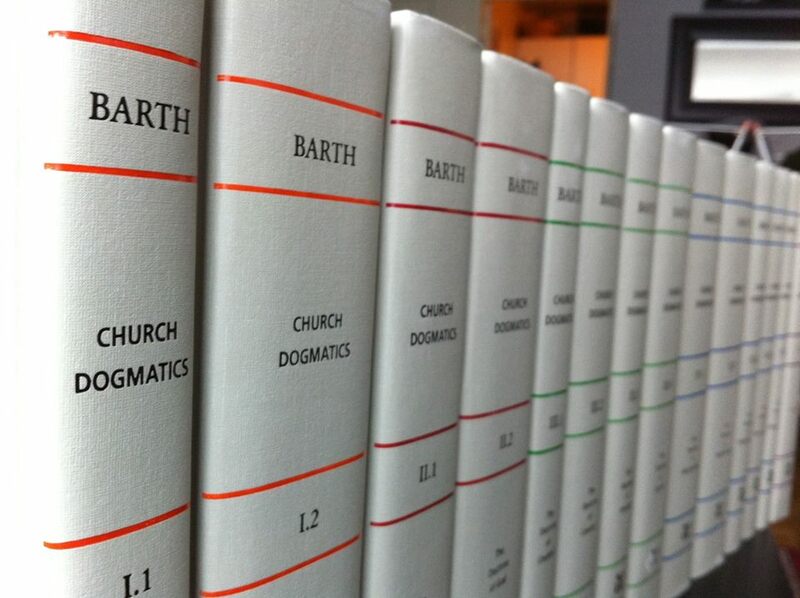 I usually read Barth’s Dogmatics every few years and since it’s been since 2013 that I’ve done it I decided that 2018 is the ideal time. I’ve generally just read a volume each month, and the shorter few (!) in less time. But this year I’m going to adopt this kid’s clever schedule. You’re welcome to read along with me and if any issues come up you want to discuss, we can. It will be fun. Ἐν ἀρχῇ ἦν ὁ λόγος, καὶ ὁ λόγος ἦν πρὸς τὸν θεόν, καὶ θεὸς ἦν ὁ λόγος. οὗτος ἦν ἐν ἀρχῇ πρὸς τὸν θεόν. πάντα δι᾽ αὐτοῦ ἐγένετο, καὶ χωρὶς αὐτοῦ ἐγένετο οὐδὲ ἕν. ὃ γέγονεν ἐν αὐτῷ ζωὴ ἦν, καὶ ἡ ζωὴ ἦν τὸ φῶς τῶν ἀνθρώπων· καὶ τὸ φῶς ἐν τῇ σκοτίᾳ φαίνει, καὶ ἡ σκοτία αὐτὸ οὐ κατέλαβεν. Ἐγένετο ἄνθρωπος, ἀπεσταλμένος παρὰ θεοῦ, ὄνομα αὐτῷ Ἰωάννης· οὗτος ἦλθεν εἰς μαρτυρίαν ἵνα μαρτυρήσῃ περὶ τοῦ φωτός, ἵνα πάντες πιστεύσωσιν δι᾽ αὐτοῦ. οὐκ ἦν ἐκεῖνος τὸ φῶς, ἀλλ᾽ ἵνα μαρτυρήσῃ περὶ τοῦ φωτός. When you regularly skip church (as many do), you forfeit any right to complain about anything about church or about what the church does or about anyone in the church concerning what they do or do not do. It’s the same as not voting, but complaining about politicians. In both cases you lose the privilege of complaint through your indifference and failure to participate fully. What Did Joseph and Mary Talk About When Jesus Was Born? Merry Christmas, and God bless us, every one.